During the summer, Lincoln has something for everyone - be it for the family who wait for the annual ‘Lincoln by the Sea’ oversized sandpit, or for the sports addicts who want to watch the commonwealth games on the super-sized screen put up in Lincoln’s little square. Here in Lincoln, there are also some slightly more out of the ordinary festivals. Most of these happen a short walk away from the Cathedral quarter- minutes away from our quaint Cathedral View Guest House. 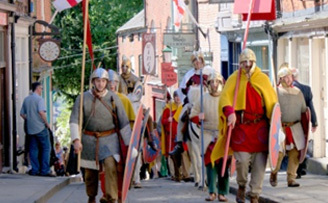 For those into their history, the Roman Trail Walk on July 27th could be the perfect opportunity to have a realistic encounter with, or join the ranks of, the Ermine Street Guard. Don’t be fooled- the tasking walk up Steep Hill and the (surely) mandatory authentic dress code are only the start of the day’s family-friendly activities! 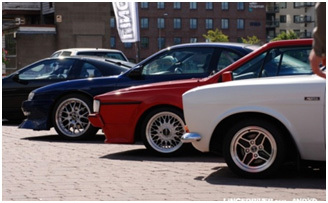 For those who know Italy for the origin of the Ferrari, rather than the Romans, the Lincs Evolution car festival offers the perfect day out for all car lovers. Also occurring on 27th July, Lincoln is set to be a hub of activity throughout the end of July. Among all of these seasonal festivals, Lincoln constantly offers brilliant food, shows, plays and musicals.